Staff from Diagrama’s residential services have taken part in the first of four transnational art workshops as part of the European project Gentle Art, Living Art (GALA). 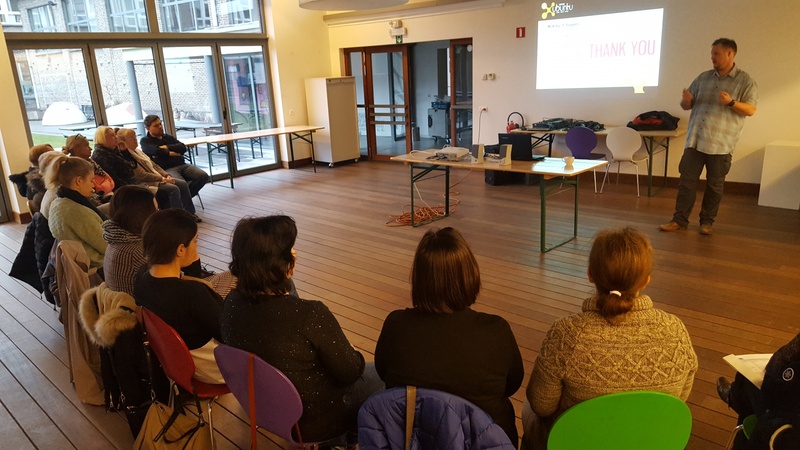 A team from Cabrini House, Diagrama’s residential home for adults with learning disabilities, and Edensor, the charity’s elderly care home in Clacton-on-Sea, travelled to Kortrijk in Belgium to visit the internationally-renowned art college of Groep Ubuntu. 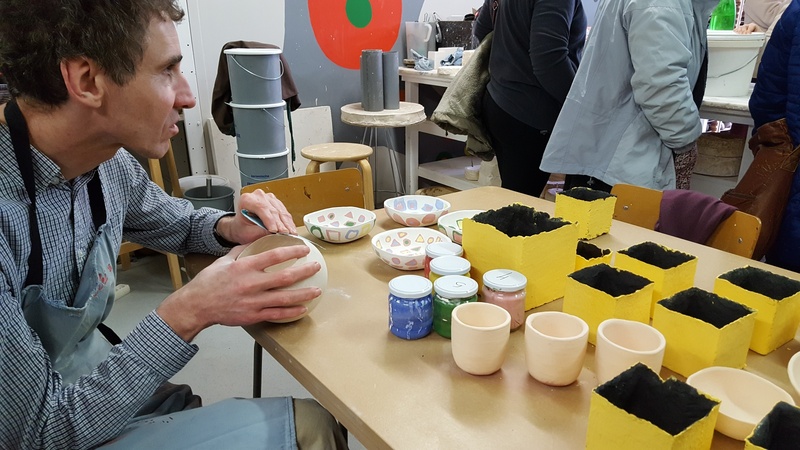 The visit formed part of the GALA project, an Erasmus + Programme funded by the European Commission, which aims to reduce social exclusion of vulnerable people through the development of individual artistic skills. 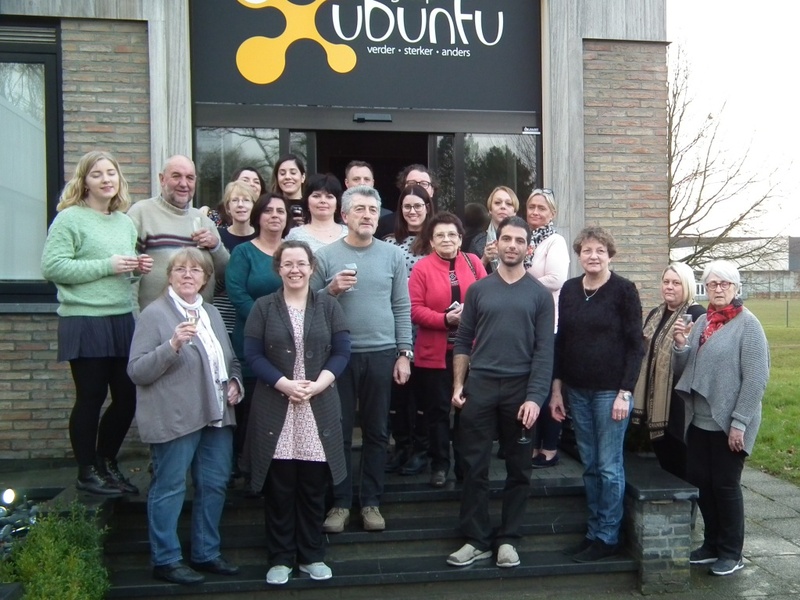 Participants attended workshops where the Gentle Art methodology and philosophy of Groep Ubuntu was explained. The activity plan included guided visits to different centres and classrooms of Group Ubuntu, which are attended daily by adults with learning and/or physical disabilities. One creative workshop, led by artistically talented vulnerable adults, aimed to create a promotional poster for the final exhibition and explored different examples of good practices. Further workshops will be held in each of the locations of the project partners, which include L'Art et la Maniere (France), Asociaţia Pro Vita (Romania) and Fundación Diagrama (Spain). The second co-ordination meeting of the project was held simultaneously to the workshop, where a detailed plan for the next visit, which will take place in France in June, was finalised.